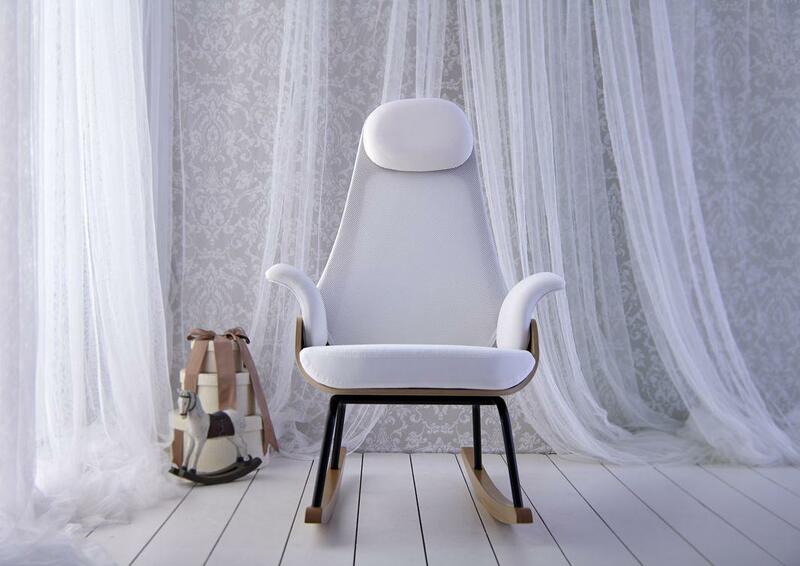 Nana by Alegre Design is a stylish, modern, ergonomic rocking chair for breast-feeding mothers. 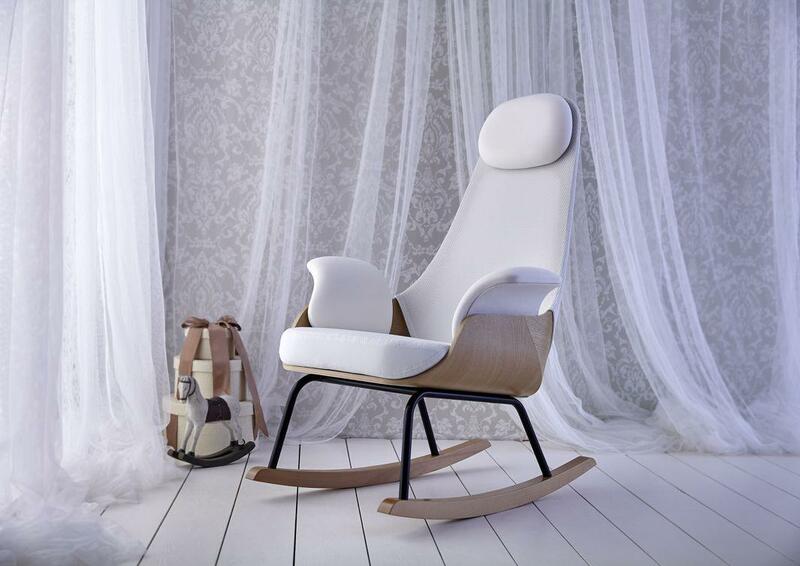 Nana by Spain’s Alegre Design is a stylish rocking chair designed for the comfort of breast-feeding mothers. The rocking chair is a nursery staple whose style has evolved with time. 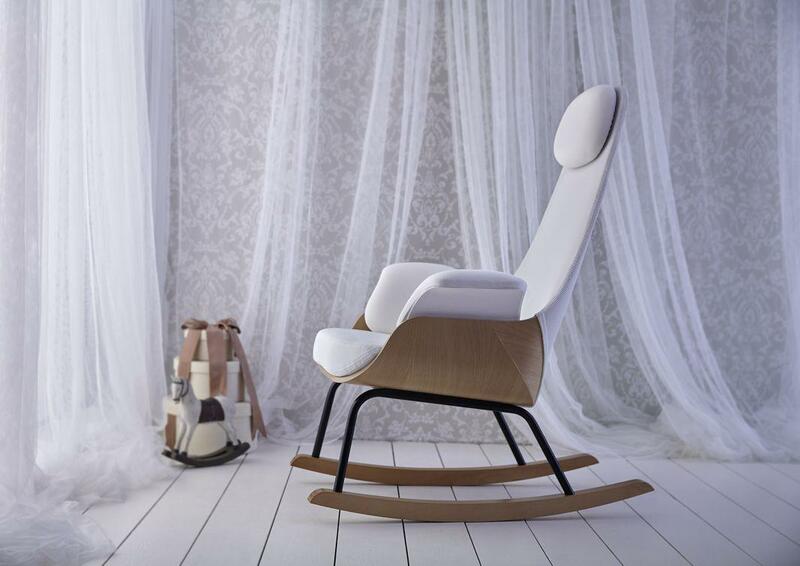 New mothers might opt for an old-fashioned wooden rocking chair that has charm but lacks comfort, or an upholstered glider built for comfort that is as clunky and space-hogging as a monster truck. As part of their series of furniture and objects for parents and young children, Marcelo Alegre and Andrés Baldoví of Valencia, Spain–based Alegre Design have created a stylish, modern, ergonomic rocking chair designed to make breast-feeding easier for new mothers. 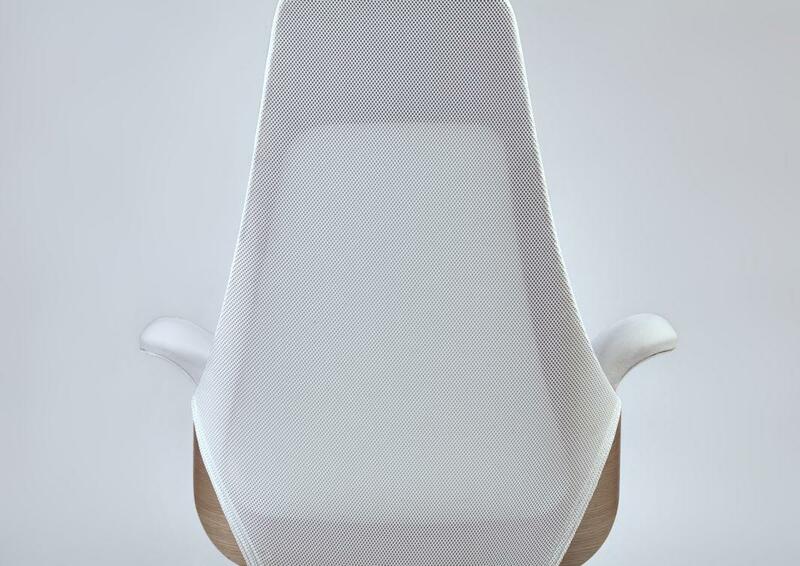 The chair was shown recently at the Wanted Design fair in New York City. Its streamlined but inviting design is built on an oak wood structure with a rocking rail that rests on black steel legs to produce an easy, smooth rocking motion. 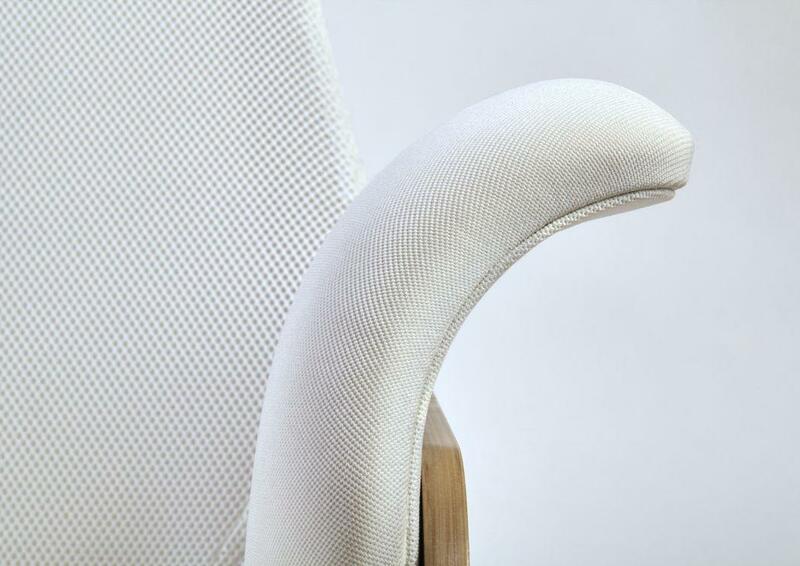 The backrest is made from breathable, flexible white fabric from Danish brand Gabriel that adapts to the user’s body weight for extra comfort. Wide-winged armrests upholstered in the same fabric have enough surface area to use as temporary holding areas for bottles, books, or other accessories. The chair includes a footrest (not pictured here) that has built-in storage for supplies a breast-feeding mother might want to keep within easy reach. 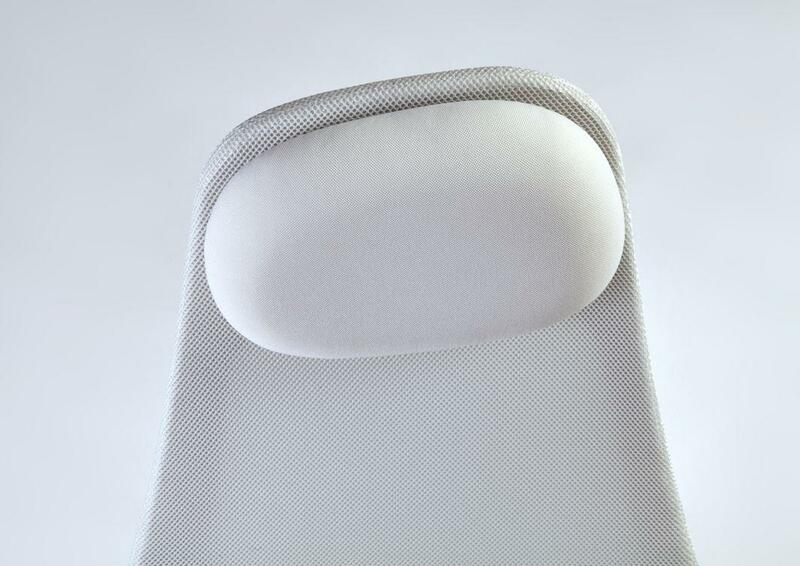 An upholstered headrest provides comfort without compromising the elegant curves of the chair design.